The all new Electric I-PACE is charged up and ready to drive! Every Jaguar feels like no other car on the road. Moving to all-electric power doesn’t change this. Built from the ground up, the new Jaguar I-PACE is a pure Battery Electric Vehicle (BEV). Jaguar I-PACE is the ultimate electric performance SUV. 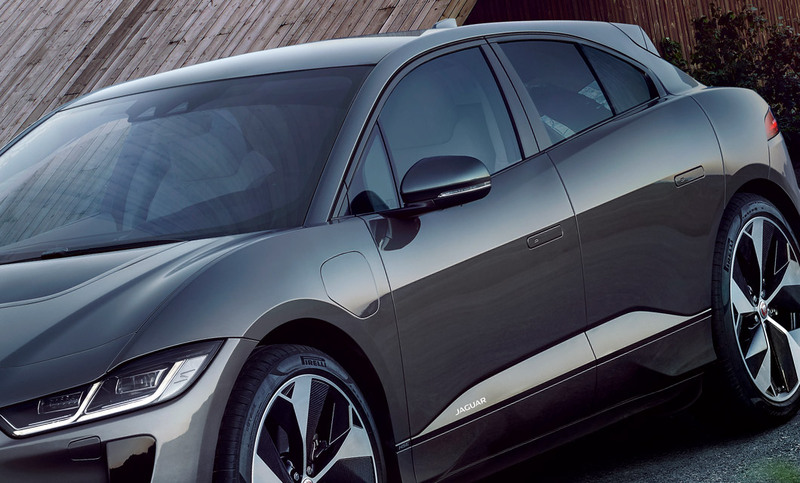 For further information or to book a demonstration drive session, our team at Rybrook Jaguar Huddersfield & Warrington would be delighted to introduce you to the I-PACE line-up. The I-PACE’s contemporary design is a combination of both I-pace concept and the spirit of Jaguar. The pronounced wheel arches to the rear diffuser provide the I-PACE with exceptional aerodynamics, allowing the car to use less range. 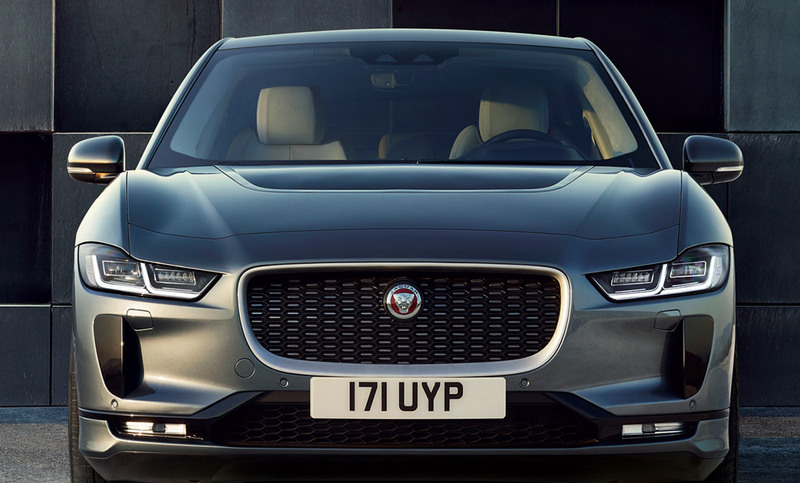 The bold grille curves inwards, reducing drag by directing air flow through the bonnet scoop and out, where it passes over a roof line that is curved for maximum performance. The driver’s cabin sits low with swooping fenders that create a sense of movement and complement the body’s fast, narrow waistline. Keeping with Jaguar aesthetics, the sleek ‘J’ blade LED headlights, and rear LED tail lights take inspiration from the flagship F-TYPE. 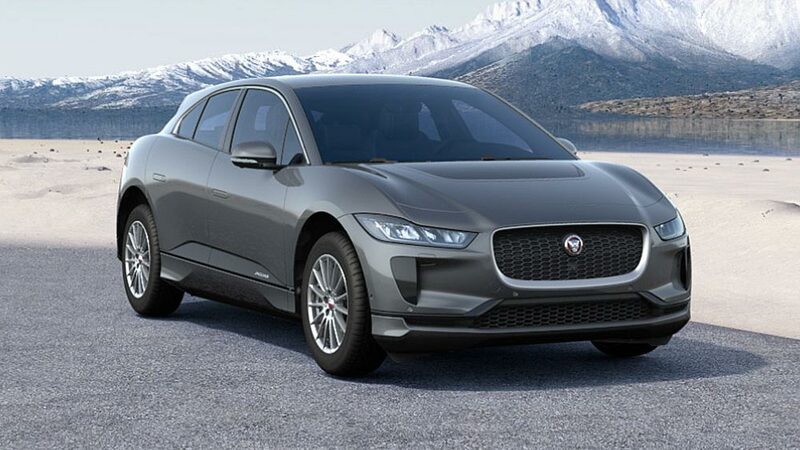 I-PACE delivers exceptional power and dynamics all with zero emissions, everything you would expect from an all-electric performance SUV created by Jaguar. I-PACE’s powertrain delivers an impressive 400ps and 696Nm of torque that’s usable in an instant. All-wheel-drive-traction gives I-PACE the ability to accelerate 0-60mph in 4.5 seconds. I PACE’s 90kWh battery is designed for longevity and supports longer periods of sustained maximum power. Acceleration is instant, no lag, no gearshifts, power and performance is accessible at any point. 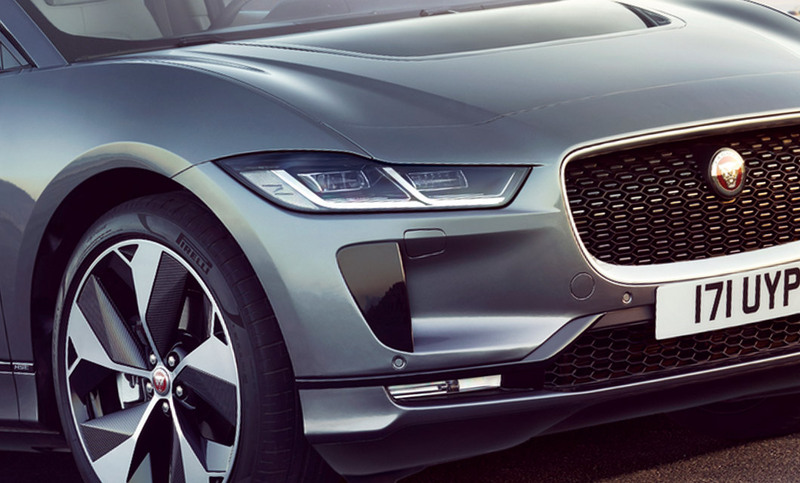 I-PACE uses a blend of luxury craftsmanship and new technologies in order to keep the classic Jaguar balance. The I-PACE’S interior provides an elegant space for both driver and passenger to enjoy, the choice of premium materials paired with new and intuitive technologies for entertainment and to keep you connected with the road. The floating centre console is at the heart of the cabin, evoking a futuristic feel as you navigate the Touch Pro system. Acoustic Laminated Glass is used on the front windows and windscreen to help reduce road noise and generally keep the cabin peaceful. Radical and advanced with head-turning good looks. A hyper‐modern form with advanced safety features. The height of I‑PACE’s technology and electric luxury in an assertive, exquisitely styled package. Interested in a NEW JAGUAR I-PACE?